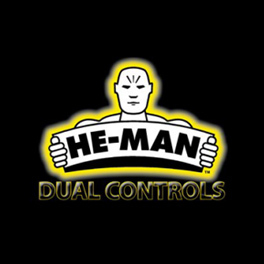 I am an agent for He-Man Dual controls authorised to supply and install dual controls. I have been fitting dual controls since 2002 and I pride myself always being on time, being fast and efficient and installing dual controls to the very best standard. I am confident in my fitting services and If for any reason you have any problems with the dual controls there is no charge for me correct the issue. Visit my Facebook page for reviews or simply ask other driving instructors who they use as their dual control fitter in your area. He-Man Dual Controls Ltd have been designing and manufacturing Dual Controls since 1931, in this time He-Man has supplied dual controls to all the major UK motor manufacturers and some of the more specialist manufacturers. He-Man has also designed and supplied dual controls for use in other countries both for left and right hand drive vehicles. 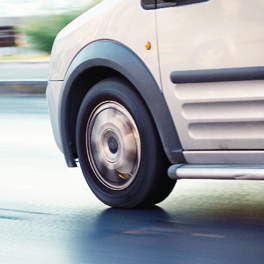 He-Man is the leading UK dual controls supplier and is the preferred dual control system for most of the motor manufacturers who supply cars in the UK. The Design Team is dedicated to keeping the range of dual controls up-to-date with current vehicle developments; Close links with motor manufacturers, dealerships etc allow them to provide dual controls for vehicle models within a short time of the model’s launch. We are proud to have a very large range of dual controls available which allows us to supply for almost any vehicle that ADI’s would wish to use as well as some that are used for specialist training – all terrain government-use vehicles for instance. We are happy to investigate designs for any vehicle if requested.